If you're reading an Italian cookbook, you might come across the word pastina that you might not be familiar with. Fortunately, you can kind of guess what pastina is, just by the word. It's little pasta―makes so much sense, doesn't it? There's no standard "pastina" pasta shape, but rather it's a general term for any small shaped pasta. Pastina can be shaped like little stars, little tubes or even little macaroni noodles or tiny shells. Though it's called "pastina" most commonly in the United States, you may also find it called "pastini" or even "pastine". One popular brand, pictured, sells tiny star-shaped pasta, traditionally called "stelline", under the name pastina. Other shapes which qualify as pastina? Depends on who you ask, but it's safe to say anything smaller than about 1/4 inch qualifies. Any pastina shape works well in soup, for example, a tomato soup, or minestrone, or a vegetable noodle soup. Some people like a simple dish of buttered pastina with Parmesan cheese, and pastina added to a rich flavorful broth makes an easy soup if you're recovering from an illness or have a queasy stomach. Try a pastina pilaf or side salad, or add a handful to just about any kind of soup imaginable. 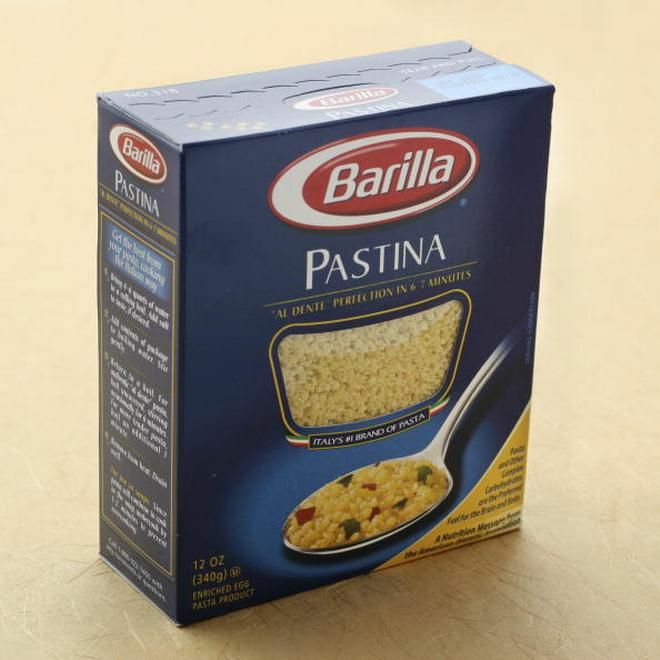 Because of its small size, pastina tends to cook quicker than other kinds of pasta. Depending on the type of pastina you're using, it may cook in as quickly as 5 minutes. What Is Confectioners Sugar and How Is It Used? How Many Mangoes Do You Need to Make a Recipe? What Is Oshinko in Vegetarian Sushi?